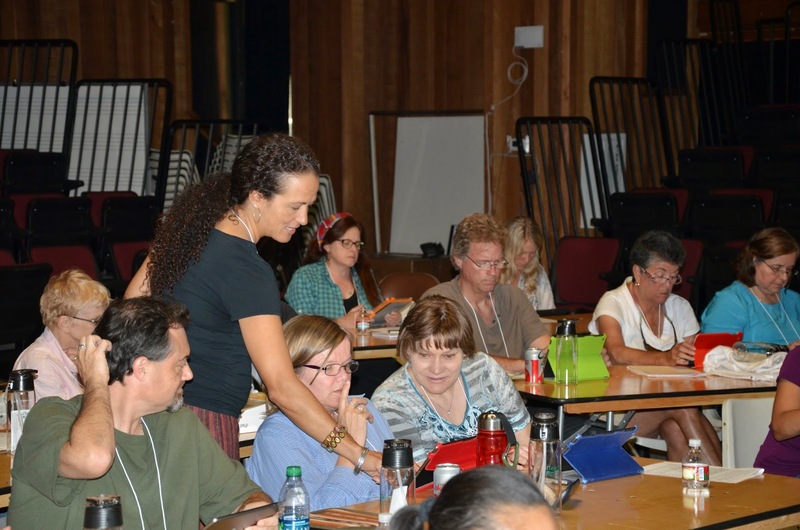 San Domenico's Dominican values of Study and Reflection are integral to our annual technology conference iTeach. Each year we offer as many as 75 workshops, panel discussions, and keynote addresses. These sessions are specifically designed to provide professional development for teachers integrating iPads and other technology in their schools. Over 80% of iTeach sessions are taught by San Domenico teachers. 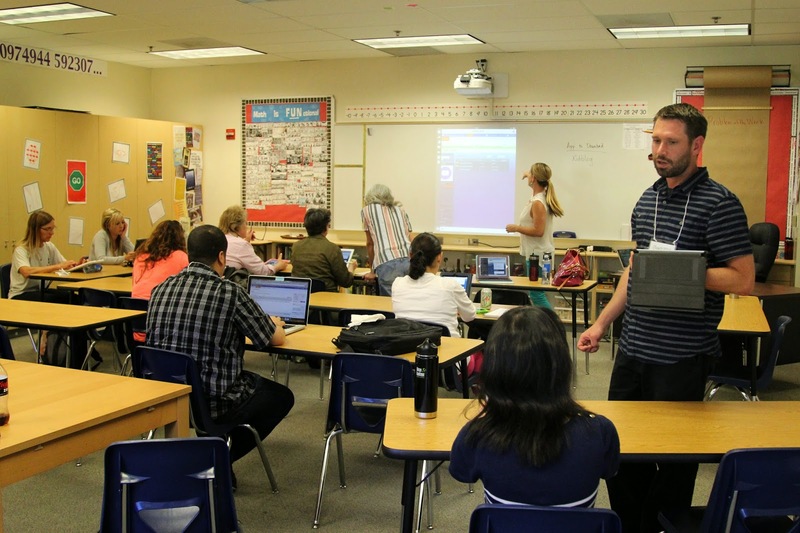 Lower School Technology Facilitator Ryan Hopper presented several sessions during the three day conference. "Thanks for putting on the event" he said, "I'm exhausted but grew as a presenter, speaker, facilitator and general tech enthusiast!" 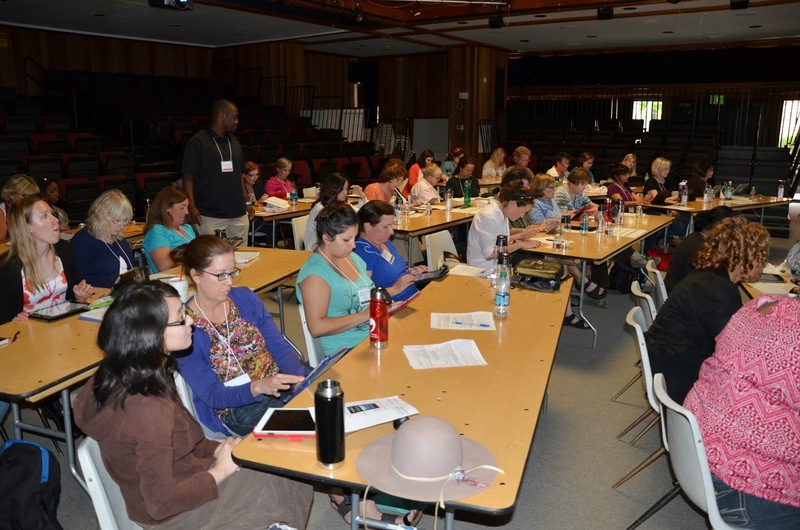 Our iTeach 2014 Sunday iPad basics workshop was the largest ever with 40 participants. PreK-8th Technology and Science Lead Kali Baird took her participants through a series of exercises designed to help them feel comfortable using iPads. The more comfortable they are with technology the more likely teachers will use technology with their students. Another highlight of the conference this year was the student panel. Students from all school levels at San Domenico shared their experiences learning with technology. Students described how they made art, managed their files and homework with cloud resources, how they used the iPad for note taking, and generally described ways the iPad helps them throughout the learning process. Our teacher panel centered on the SAMR Model. Led by Baird in conversation SD teachers explored how they use technology to redefine their educational processes and goals. Developed by Ruben R. Puentedura, the SAMR model looks at how different uses of technology in learning can substitute for traditional teaching tools and methods; augment the lessons with improvements; modify tasks students are expected to do; and eventually to redefine the tasks and learning processes. San Domenico School Director of Religious Studies Mirza Kahn produced a short video to provide you with some additional insight to the power of iTeach. Please let us know if you are interested in attending iTeach 2015. We'd love to see you there! "We utilize technology to enhance student learning, cultivate digital citizenship, and foster digital literacy across the curriculum." This blog features posts and content from our entire learning community. It is curated by Brad Lakritz, Director of Technology at San Domenico School. Students explore the Marin History Museum with iPads! Content is Copyright © by San Domenico School or authors. Powered by Blogger.